Before the official release of the Galaxy S4, there were rumors that Samsung will be adding the Photosphere camera with its own branding “Camera Orb” in its new flagship. However, later it became evident that the rumors were just rumors and what we got with the Galaxy S4 was Samsung’s own version of Panorama mode that can captures 360 degree left to right or vice versa pictures. The Photosphere camera feature, that as introduces first with Nexus 4, is really one of the most interesting camera features. The Photosphere camera mode is an advanced form of 360º photography because it beautifully synthesizes several photo frames into one whole to give you a spherical shot. The feature achieves this by piecing together the picture in a virtual space. It then combines all the pieces together, adding depth to the space. Thus you can create an spherical image by moving and aligning the camera sensor to left, right, up or down. Below is very beautiful example that shows what kind of images you can capture using Photosphere. I flashed the Android 4.2 Photosphere camera on my Galaxy S4 just a couple of days ago and was amazed to see the results. 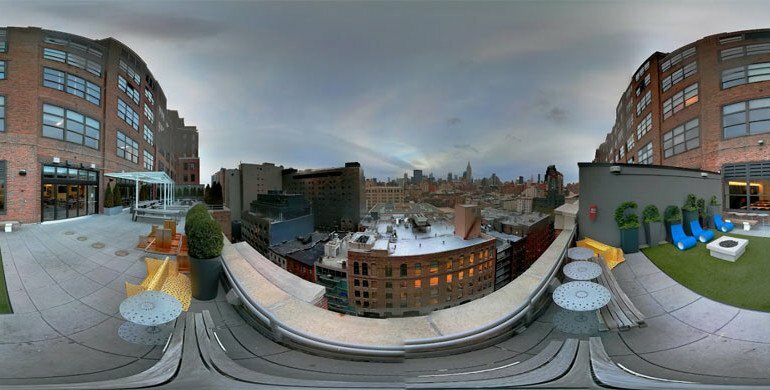 A 360º spherical photo captured with a 13MP camera! So if you have a Samsung Galaxy S4, or even some other Android device (like HTC One or Xperia Z) with Android 4.2 Jelly Bean, you can have that awesome camera on your device now! Update: Finally Working without Root!! Finally, the most coveted Photosphere Camera is now working on our Samsung Galaxy S4! And guess what, you can simply install it as a normal app and without having to root your phone. I have just tested it on my Galaxy S4 and it has been reported working on Galaxy S4 GT-I9505, T-Mobile, Sprint, AT&T Verizon and all other variants of Galaxy S4. Please note that the new Photosphere camera apk file has been pulled out from the Google Edition Galaxy S4 I9505G system dump. Installing this on your Galaxy S4 will not replace the stock camera or gallery but add another Gallery and Camera. 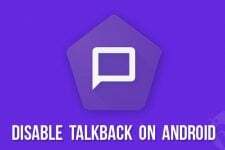 Just download the APK from below, copy to your phone and install it. Do not forget to enable “Unknown Sources” option from Settings> More> Security. Enjoy friends! Note: In case you discover that any of the functions of the camera is not working properly, please install the CWM flashable zip provided below. A rooted Samsung Galaxy S4 with a custom recovery like CWM or TWRP. 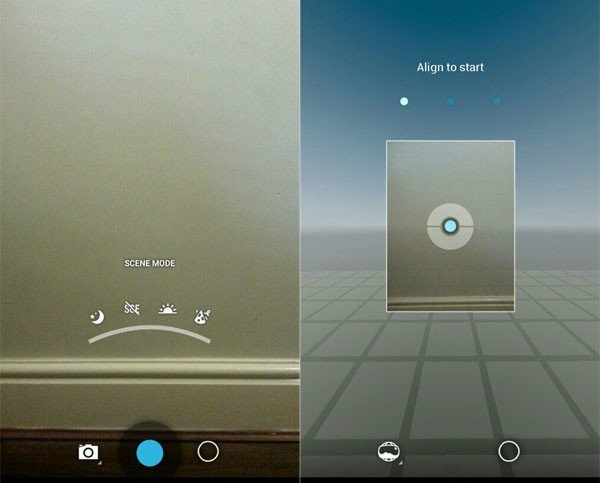 Here is how you can install the Photosphere camera from Nexus 4 on your Samsung Galaxy S4. I have tested it on GT-I9500 Besides, the port should also work with other device with Android 4.2. Please note that installing the Android 4.2 stock camera will not delete or replace the Samsung Camera. Since the Nexus 4 camera app is integrated with the Gallery app, you will also have ane Gallery app icon in your app drawer. Download “PhotosphereGS4GE.zip“ file and copy to your phone internal or external SD card storage. Turn off your Galaxy S4 and reboot it into CWM or TWRP recovery mode. Press the Volume Up+Home+Power button together till the “Samsung Galaxy S4” logo blinks for 2 times, then release the Power key. Keep other keys pressed till you see the CWM or TWRP menu. Inside the recovery mode, use the volume keys to scroll and the power key to select an option. If you have the touch version of recovery, you know well what to do. First thing that you must always do whenever you flash a mod or port on your Galaxy S4, is the backup stuff. Go to “backup and restore” option in recovery menu and backup your current ROM. In the case of any mishap, you can restore your ROM anytime to get the device back to its normal state. Go to “advanced” option and “wipe dalvik cache”. Choose “yes’ when asked. Returning back to the main menu, go to “install zip from sdcard> choose zip from sdcard” and select “PhotosphereGS4GE.zip“. Select “yes” on the next screen to confirm installation which will take just few seconds. Go to “advanced” menu again and “wipe dalvik cache”. Finally, come back to the main menu and select “reboot system now”. Your Galaxy S4 will reboot now and you’ll see “Android is upgrading…” message. Wait till it finishes. Open your app drawer and look for the new Camera and Gallery apps. Enjoy! Can this still be done with SGS4 i9500 Android 4.3 Jelly Bean? Yes it can be. Jelly Bean any version. I installed it already. It works as it should be. Good to know that. Enjoy! I’m interested in installing this, but it appears to want the ability to create and delete accounts on my phone. Why would it need this? Huge security risk. It is Google’s official app so it might need permission to share photos to Google+ and for that it requires those permissions. What is wrong with that? This is created by Google. I didn’t realize that. Still not comfortable that those rights. It would be nice to know why. Thanks. In other words, the viewfinder is 90 rotated, so its very difficult to use at all… odd. I have just tested it and have not seen any such issues as you are reporting. Try the flashable zip for rooted phones. I found a bug. if auto rotation is switched ON, the phone works fine. If it is disabled, the camera rotates the viewfinder and you cannot use it properly. I’ve read your tutorial (thank you for the help) and the comments, but it is not clear to me if this is working on T-Mobile M919 phones. Could you please clarify? If it is working, am I to completely ignore flashing 4.2Camera_noPS_13MP.zip, and skip right to moving the files and changing the permissions from the 4.2Camera_withPSt04-extract.zip file, or is the 4.2Camera_noPS_13MP.zip file involved somehow? Thanks for the additional help. Hi Joe, thank us again for it. The post has been updated with a working version of PS camera. Thanks! A great update. It is working on my T-mobile M919. However, although the photosphere camera is working wonderfully, the icon in the gallery that lets you view the stiched picture as a photosphere does not seem to be working. Is anyone else having this problem? (I installed the non-root APK version). Any suggestions for a replacement viewer? Just a quick update… I uninstalled the no-root apk version (SGS4_Photosphere_Gallery.apk), and flashed the root-requried version (PhotosphereGS4GE.zip) Everything is now working correctly. Last update! When I installed the no-root version on my t-mobile phone, the photosphere viewer did not work, but the editing features did. I uninstalled that version, and rooted the other version. The viewer worked, and I thought it was fully operational (as I previsouly reported), but I later found out that the editing features caused the gallary app to crash. I re-flashed a backup image and started over. This time, I used the rooted version. Afterwards, I ran the no-root APK and during installation I got a message asking if I wanted to “upgrade” the gallary. I hit yes and now both the viewer and editing features work. Aside from some occasinoal freazes when taking pictures in photosphere mode, everything does seem to be working now. I was able to get the camera and gallery working on T-Mobile m919 s4 but there is no icon for photosphere. Only panorama. Am I missing something. There are two versions above- one with simple camera and the other with PS. Which one did you install? I flashed 4.2Camera_noPS_13MP.zip. works great. Then tried the to install the other one. i have two identical camera icons. So I guess I have them both installed. The second one just force closes. I’m assuming that’s the one with photosphere. I might try deleting the no photosphere camera and see if that fixes anything. works great on my i9500, thanks man your awesome! Has anyone had success with a verizon s4? I think it only works on the international version i9500. Pleaaaase get this to work on i9505! Thanks a million!! Hi Peter, it’ll work soon hopefully and when it does, the post will be updated. 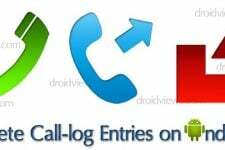 Join us on FB or G+ to get update notification. tried on this forum http://bit.ly/15qFo3r . is another issue we are running into (Drivers?). Thanks. Hi, I have installed it on stock rooted S4 and custom ROMs like CM and PA, etc. and it still works fine on GT-I9500. I think the reason is the processor and also the Kernel. It runs on Exynos but fails on Snapdragon. I think those with the Snapdragon S4 will have to wait a little till it is modded. I do believe that a little modification in lib.so files can make it work. I tried to experiment with editing and testing files to make it work but it gives FC. As soon as a working version arrives, we’ll be first to share it here! Cheers! I have stock rooted s4 sch-i545 and i get the fc when i try to use the camera (with ps). the gallery works fine, just the camera. Any hope/update? We have trying to find a workaround for the FC error on the camera app. Unfortunately, it is not working on all S4 models with Snapdragon chips at the moment, especially after some recent software updates. We’ll keep the post updated as soon as we discover a working mod. Stay tuned and join us on Google Plus or FB to get the latest update. Regards! Working PS camera for S4. Glad to see you updated it with the 4.3 camera that came out. So happy that it works. Also be sure to tell folks that if they have previously tried any methods they need to remove the Gallery’s installed in order to get this one to work. On SGS4 9505, screen goes black, then gallery crashes… Camera without Photo Sphere works ok as does the Samsung Stock camera. Rakesh, please rewrite these instructions, they are very unclear and non-sensical, I keep finding errors and steps that are not clear, or open to interpretation, repetitive and confusing. Unzip the 4.2Camera_noPS_13MP.zip file and copy the extracted folder to your device. Make sure you have installed a root file manager on your Galaxy S4. Open the app and navigate to the folder you copied in Step 1. Tap and hold the “GalleryGoogle.apk” file and select copy. Is there a typo, should it be “THEN copy…”? Also, there is no libs folder in the zip file… just app and etc.. Currently, the PhotoSphere camera does not work on GT-I9505, so avoid it for now. We’ll keep it updated as some working version arrives. As for instructions, I have checked them again and I do not see any problem with them. The Typo was there and I have corrected that. Thanks! Can you tell me precisely what sounds confusing to you? update- it’s working now, download the app. So, is it just a matter of installing the APK? Yes., just install it normally. In case you get any error, download and flash the zip using CWM. Hi, I have a GT-I9500 and it doesn’t work for me either. It seems to work as I am taking the photo sphere (It shows the pics taken etc) but once I am done it says Rendering Panorama in the status bar, and then when it is almost done rendering it says “Unfortunately, Gallery has stopped.” The picture does show in my gallery afterwards, but as a badly stitched panorama, and not at all as a photo sphere. Boot in recovery, go to “advanced”, and select “fix permissions”. Then wipe dalvik cache and and cache partition again. Tried that without success. I am still on older XXUAMDE firmware though, so maybe thats the issue. I’ll update to later firmware eventually and try again. With the updated version that you provided it finally works. Thanks a lot! Will it work on Galaxy S4 (GT-I9505) UK Unlocked? It works on GT-I9500 but when I tested it on a friend’s I9505, it gave force close error. Do not try it and wait till the post is updated. Follow us on a social site and you’ll get updates when it happens. Sorry, it doesn’t work on stock T-Mobile TW ROM (rooted of course). Tmob’s model is similar to the i9505 model. Gallery works, but Camera shows up with a black screen, then FCs. Hey, just updated the post! Please try and give your feedback. The viewfinder image is rotated 90 degrees counter-clockwise… which makes it nearly impossible to frame something, you pan left and the image tilts up… why is that? Nothing but force closes for me. I’ve tried stock roms and aosp based roms. On AOSP, it does give FC error due to the clash of same apps. You need to delete Gallery2.apk from system/app first and then install flash this by wiping dalvik cache before and after. Hi James, the Photosphere is currently working of any of the US and Canadian models of the S4. I’ll keep updating the post with any new developments. Stay tuned and sorry for the inconvenience. Ah okay, thanks. I’ll keep checking back. I appreciate your effort, but can you read over the instructions again? Why do we have the download for the 4.2Camera with PS? The instructions say nothing about that. I assume That the file you reference to pull “GalleryGoogle.apk” from is actually the 4.2 Camera WITHPS?